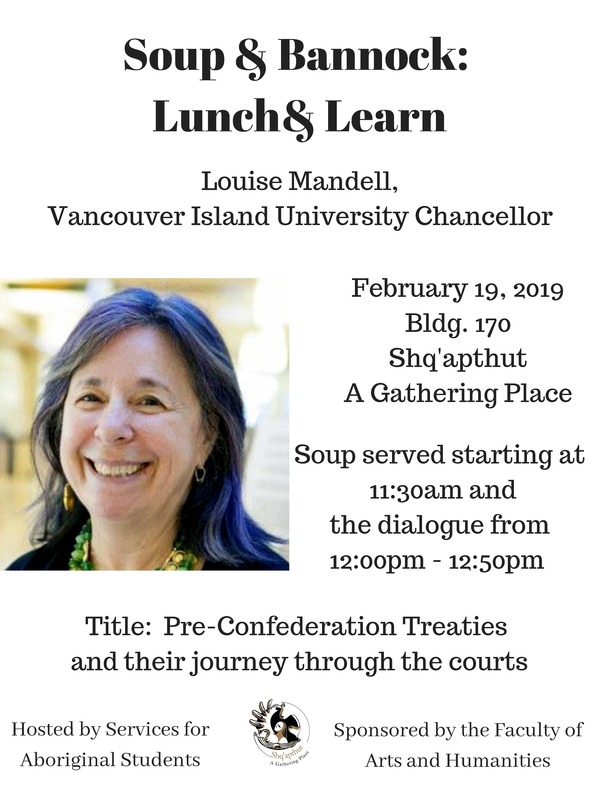 Please join us for Soup & Bannock, Lunch & Learn on Tuesday February 19, 2019 at Shq'apthut - A Gathering Place. Our guest speaker is Vancouver Island University's Chancellor, Louise Mandell. She will be presenting, "Pre-Confederation Treaties and their journey through the courts."